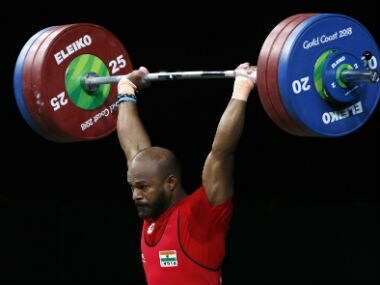 Indian lifters raised the bar by several notches in the Commonwealth Games to finish on top of the weightlifting standings, bagging an unprecedented nine medals including five gold. This fairytale run began with Mirabai Chanu’s World Championships victory in November last year and the medal heist at Gold Coast confirmed India’s steady progress in the sport. But even as the felicitation functions for the medal winners were on, came the rude jolt. Two-time Commonwealth Games gold medallist Sanjita Chanu failed a dope test and was provisionally banned by the International Weightlifting Federation. Punam Yadav, another of the triumphant heroes at this year’s Commonwealth Games, was barred from the national camp for indiscipline. But the biggest blow was the pull out of Mirabai Chanu from the Asian Games, a certainty for gold medal in the 48 kg category. The 24-year-old from Manipur had been struggling with a mysterious back pain and failed to recover in time. 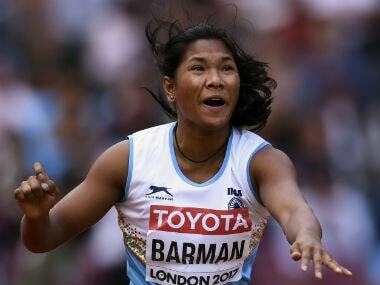 In her absence, India’s medal chances at the Indonesia Games have suffered a huge setback. For a sport that showed signs of turning a corner, the road to redemption hit a severe roadblock. The lone Indian weightlifter in the women’s category at the Asian Games is Rakhi Halder, a strong medal contender in the 63 kg class. She was a revelation in the National Championship in Mangaluru this year when she broke a 19-year-old national record held by India’s weightlifting icon-Karnam Malleswari. With a lift of 128 kg in the clean and jerk, she bettered Malleswari’s record of 127 kg to finish with an impressive total of 230 kg — equalling Malleswari’s overall national record. “If she is able to repeat this performance, she has a good chance of a podium finish,’’ says Vijay Sharma, the national weightlifting coach. Halder is expected to face tough challenge from the lifters from Chinese Taipei and North Korea though Lin Tzu-chi, the defending Asian Games champion from Chinese Taipei, will not take part in Jakarta. “Halder has been in the national camp for a couple of years but she has started to deliver results now,’’ explains Sharma. Halder did not make it to the Commonwealth Games this year. The 24-year-old from Nadia district in West Bengal tried her hand in weightlifting after catching the eyes of her parents and the villagers who were impressed by her skills of effortlessly lifting heavy sacks of grain. Her first big break came when she won the Commonwealth Junior Championship in 2012, but has failed to replicate her success at the senior level. The national record this year is tipped to be the turning point in her career. Medals are a distant dream in the men’s categories, where two-time Commonwealth Games gold medallist Sathish Sivalingam will lead the challenge. The other two members of the squad are Ajay Singh Shekhawat and Vikas Thakur. Sathish, slated to take part in 77 kg class, had also been down with injuries but has recovered in time to make the cut. 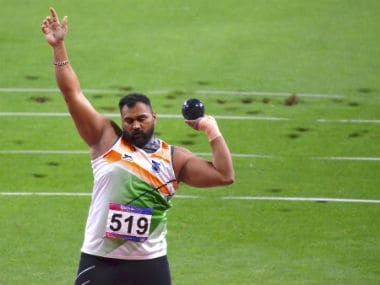 The Indian’s personal best has been 328 kg in last year’s World Championships, while he will need to improve it by at least 15 kg to come close to a podium finish. Young Shekhawat has also been selected in the 77 kg weight category. Though not gunning for a medal, the 21-year-old is hoping to gain invaluable international experience in the Asian Games. Shekhawat is being marked as one for the future, having won two Junior Commonwealth Championship gold and also emerged as the champion in the 2016 senior event. Thakur, taking part in the 94 kg, has been an experienced campaigner for India who finished with a bronze in this year’s Commonwealth Games. However with a current personal best of 351 kg, Thakur will not pose much challenge to the top Asian lifters in his weight category from Iran and Qatar who have been touching 390-400 kg. The constant injuries to the Indian lifters has been a reason for concern. “Mirabai is now undergoing treatment in Mumbai under well-known physiotherapist Heath Mathews who works with elite sportspersons. Though we do not know the exact diagnosis of the back problem, she is showing improvement,’’ says Sharma. With her Asian Games hopes dashed, Mirabai is hoping to recover in time for the World Championships to be held in November in Turkmenistan. Ranking points earned in World Championships, Asian and Commonwealth Championships will be used to determine the qualifications for the 2020 Tokyo Olympics. India’s last weightlifting medal in the Asian Games came 20 years ago when Malleswari won a silver medal in 1998 in Bangkok. Weightlifting received a big boost, thanks to the impressive Commonwealth Games performance, but the recent doping controversy and the repeated injuries have taken a bit of sheen away. Hopefully the showing in the Asian Games will once again lift the morale of the sport and dispel the gloom.